With so many of us spending more time at our desks nowadays, whether that’s at work or at home, the importance of a good office chair and proper cushioning shouldn’t be underestimated. It can have a detrimental effect on a person’s wellbeing, mood and body. However, most of the time, buying an ergonomic chair is expensive, or just not possible if you work in an office that doesn’t allow you to get one. The orthopedic memory foam seat cushion is the perfect solution in these cases. These cushions can improve your spinal alignment and relieve your pressure points. But why a memory foam seat cushion? Well, it’s really simple – they have all the important features for proper back support. They’re cheap and long-lasting, as well as practical and comfortable. The most important benefit of having a memory foam seat cushion is back support. 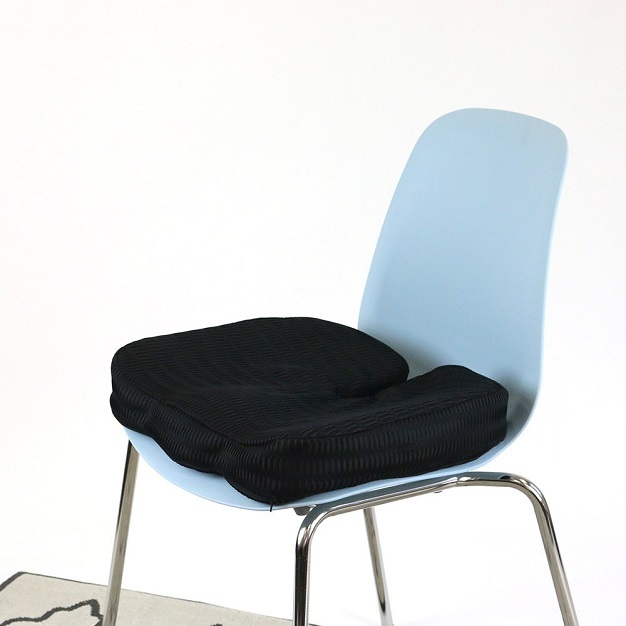 They give your back and your tailbone the much needed support, and you can sit for longer hours as a result. In fact, if your job includes sitting for long hours on daily basis, then the cushion will quickly become your best friend. There are some people who can’t sit for more than an hour without a cushion, but can easily be able to spend several hours on a chair when using a cushion. Next, they’re the most comfortable type of cushion around, which is not something you’ll have a hard time discovering. This is important because comfort prolongs the well-being of your tailbone. The spine and the tailbone are exposed to quite a few health hazards when sitting for hours on daily basis. The comfort provided by the cushion greatly lowers those risks. Moreover, it can help you regulate your body temperature. Memory foam is manufactured of polyurethane and a couple additives that allow the seat to adjust to your body’s temperature. This also means that the seat retains more heat than other types of cushioning and can conform to your body shape even when you shift your weight. With a cushion that hugs your body while sitting, you’re bound to stay warm and cozy through even the coldest winter months. And last but not least, the memory foam cushions are very small and portable. You can easily carry them with you everywhere you go in your car, so you can make use of them at work and at home. Furthermore, memory foam is very durable, which means the cushion will last very long and be in a constant good shape. These benefits, combined with the affordable price tag, make the memory foam cushions increasingly more popular and a long-term solution to many people with back problems.